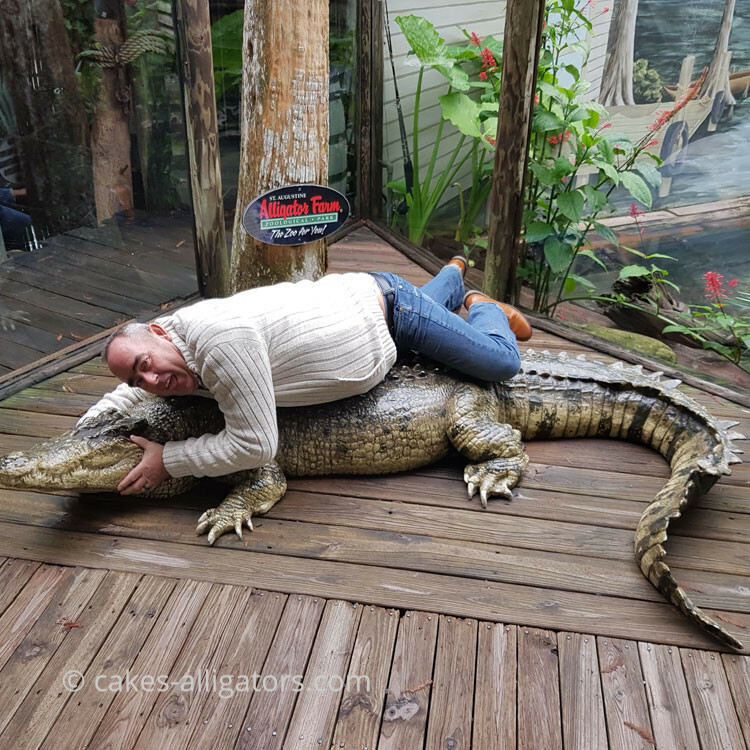 CAKES Alligators has always been a dream of ours (see more about this on the Our Story page). There's no better feeling than being able to share everything we have learned about the species with alligator enthusiasts. Since starting our dream, we've learned so much about the species; their habitats, diet, nesting, growth rates etc. We know just how hard it is to get everything right to provide the best homes for Chinese Alligators and even more importantly, to allow them to breed. There's not a lot of other Chinese Alligator enthusiasts around (outside of China anyway), or not much to read on the Internet either, due to the rarity of this endangered species of alligator. That's why we enjoy visiting different zoos and parks around the World - to widen our knowledge. We love to keep on learning about the species, and any information we gather from other enthusiasts is welcome. We've previously taken one of our Alligators into our granddaughters Merissa and Beth's school for their 'wild animal' project. Here we helped to pass the message on about a critically endangered species to a younger generation.